Listen to the soundtrack written by Stuart Mitchell and performed by the Filmharmonic Orchestra and Choir Prague. Stuart Mitchell is a Scottish composer and pianist, born in Edinburgh, Scotland. He followed in the footsteps of his father, Thomas J. Mitchell, who was a talented composer and jazz pianist. He began learning to play the piano at the young age of five. Stuart is widely known for creating the premier piece called The Seven Wonders Suite, which was based upon inspiration from the Seven Wonders of the World. At present, his work is fueled by his passion for nature and geometry. The Grounded motion picture soundtrack, performed by the Filmharmonic Orchestra and Choir Prague, is a moving and inspirational compilation that accompanies viewers through the story of one town’s discovery of the natural, timeless, and powerful energy of the Earth we walk on. The movie The Grounded is an independent feature film about the power of connecting to the Earth’s healing energy. 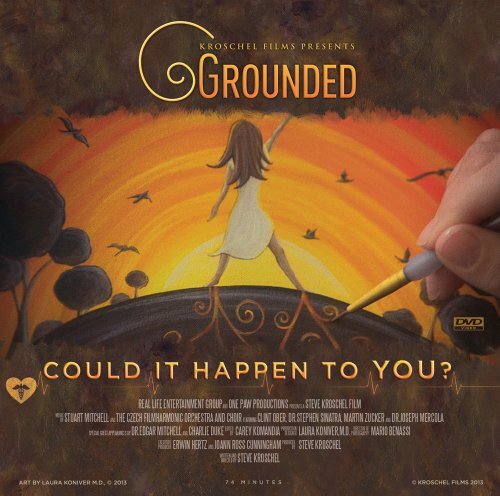 Produced and directed by master filmmaker Steve Kroschel, The Grounded tells the story of his personal discovery of the benefits of Earthing and how it affected him and others in the small town of Haines in the rural wilderness of Alaska. Groundbreaking, heartfelt, and inspirational, The Grounded will leave you looking at nature, our Earth and the very ground beneath your feet in a whole new way!